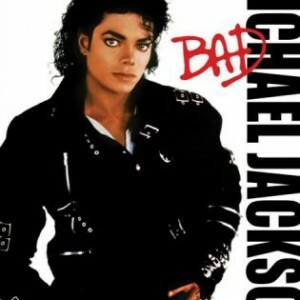 ‘Bad’ is Michael Jackson’s third solo album on Epic Records, released on August 31st, 1987. 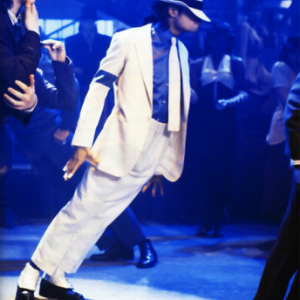 Nominated for six Grammy Awards (winner of two), and selling an estimated 45 million copies worldwide, it is cited as one of the best-selling albums of all time, and was hailed by Time Magazine as “A state-of-the-art dance record”. 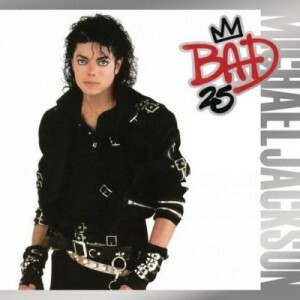 ‘Bad’ is the first album in the history of recorded music to have five of its singles consecutively peak at #1 on the Billboard Hot 100 chart: “I Just Can’t Stop Loving You”, “Bad”, “The Way You Make Me Feel”, “Man in the Mirror” and “Dirty Diana” – all charted at #1. 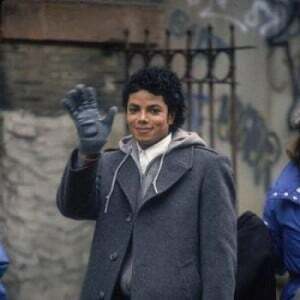 The final 11-song tracklist contained 9 compositions written solely by Michael, and Michael served as co-producer for the album with Quincy Jones, who served as producer. 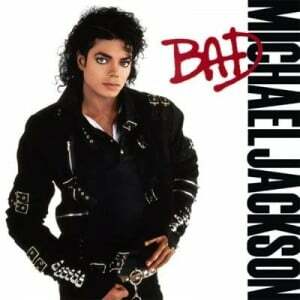 This was the last of Michael’s albums which Quincy worked on. 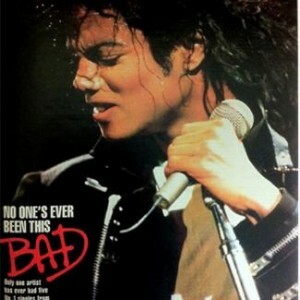 In all, ‘Bad’ took more than a year to record. 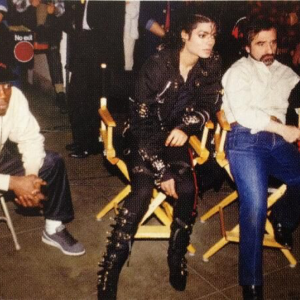 The album earned Michael the first-ever Video Vanguard Award at the MTV VMA awards. 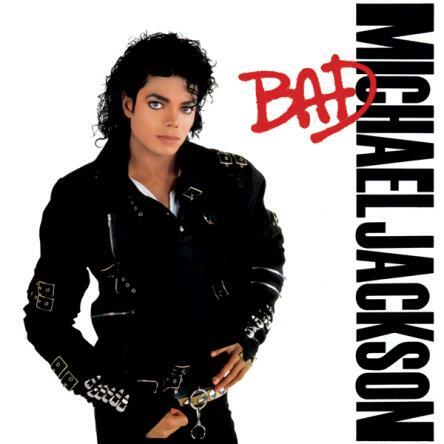 Michael Jackson: “For two and a half years, I devoted most of my time to recording the follow-up to ‘Thriller’, the album that came to be titled Bad. Why did it take so long to make Bad? The answer is that Quincy and I decided that this album should be as close to perfect as humanly possible. A perfectionist has to take his time; he shapes and he molds and he sculpts that thing until it’s perfect. He can’t let it go before he’s satisfied; he can’t. 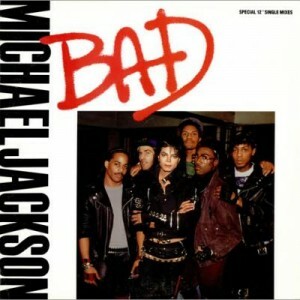 We worked on ‘Bad’ for a long time. Years. In the end, it was worth it because we were satisfied with what we had achieved, but it was difficult too. There was a lot of tension because we felt we were competing with ourselves. 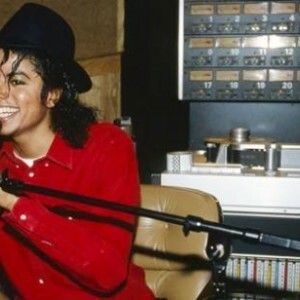 It’s very hard to create something when you feel like you’re in competition with yourself because no matter how you look at it, people are always going to compare ‘Bad’ to ‘Thriller’….I think I have a slight advantage in all of this because I always do my best work under pressure.” – Michael Jackson, 1988. 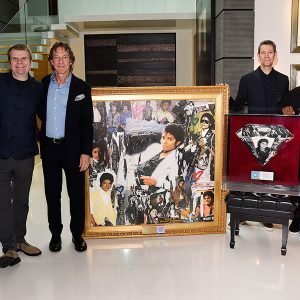 Michael Jackson Estate Co-Executor John Branca: “Michael was very involved creatively with ‘Off The Wall’ and ‘Thriller’, but he was even more involved on ‘Bad’. He did write nine of the 11 songs. 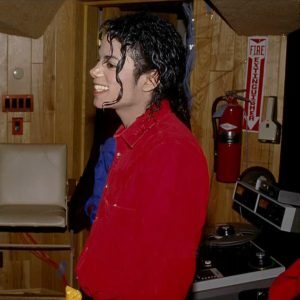 Michael would create demos in his studio at Hayvenurst. That would be the model for what was on the album. He was the architect of the album in every sense of the word.”. Engineer Bruce Swedien: “It’s interesting to me to reflect on the album ‘Bad’, and realize that I have more favorite songs on this album than any of the others.” Engineer Matt Forger: “When you were with Michael you always had this sense of enjoyment, of energy, and whatever it is Michael wanted to do, he wanted to enjoy himself when he was doing it. 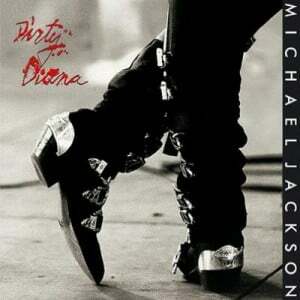 Co-Produced by Quincy Jones and Michael Jackson. Recorded and Mixed by Bruce Swedien using the “Acusonic Recording Process D”. Additional Engineering by Humberto Gatica. Recorded Digitally on the Mitsubishi Multi-track and stereo master recorders. Special thanks to the Mitsubishi support team: Tore Nordahl, Peter Germansen, Lon Neumann, Kiyoshi Kondo, Phil Vachon. Additional Recording by Claudio Ordenes, Bill Bottrell, Matt Forger, Craig Johnson, Gary Olazabal, Brian Malouf. Assistant Engineers: Debbie Johnson, Claudio Ordenes, Brad Sundberg, Laura Livingston. Westlake Audio Technical support team: Rich Markowitz, Pat Stolz, John Sacchetti, Mustafa Locks, Greg Loskorn, Danny Burns. Special Thanks to the Westlake Audio Staff folks: Glenn Phoenix, Debbie Jenkins, Brad “Really, really Brad” Sundberg, Raff “lt’s great to be alive” Sanchez, Mark “I’ll get it” Hagen, Matt Freeman, Russ Ragsdale, Greg Davids, Darryl Dobson. Assistant to Michael Jackson: Mary “May-reeh” Coller. Special Thanks to Diana “Lady Di” Douglas. MJJ Staff: Bill Bray, Miko Brando, Martha Browning. QJP Staff: Madeline Randolph, Louise Velasquez, Raoul Roach, Denitria Harris, Donna Bernardo, Portland Benson, Nasim Nourian. Epic Records Product Direction: Larry Stessel. Slam Dunk Sisters: Catherine Ballard, Laura Raynor. Andrae Crouch and Steve Stevens appear courtesy of Warner Brothers Records, Inc.
Sandra Crouch appears courtesy of Light Records. Siedah Garrett, Jimmy Smith and The Winans appear courtesy of Qwest Records. Louis Johnson appears courtesy of A&M Records, Inc.
Steve Porcaro and David Paich appear courtesy of Columbia Records. Randy Waldman appears courtesy of Artful Balance Records. Larry Williams appears courtesy of RCA Records. Stevie Wonder appears courtesy of Motown Record Corporation. Thank You: Audio Affects, Design FX, ECC/Oberheim, Gelfand, Rennert & Feldman, Leeds, New England Digital, Pro-Rock, Roland Corp., Yamaha Music Corp-Featuring the sounds of the YAMAHA MlDl GRAND piano. Michael Jackson’s legal counsel: Ziffren, Brittenham & Branca. 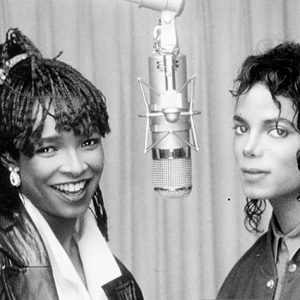 “Our deepest gratitude to the Creator for the tireless efforts of those who generously gave of themselves – creatively, physically and spiritually in the making of this music.” – MJ and Q.J. Thank You: Stephanie Andrews, Clarence Avant, Catherine Ballard, Glen Ballard, John, Marva & Darius Barnes, Troy Beyer, Ruben Blades, Michael & Kathy Boddicker, John Branca, Marlon Brando, Jerry Breslauer, Terry Britten, Ollie E. Brown, Akosua Busia, Doug Buttleman, N’dugu Chancler, Ken Cleveland, Lyor Cohen, Mary Coller, Orion Crawford, Andre, Sandra, and Catherine Crouch, Christopher Currell, Christine ‘Coco’ Decroix (Un gros bisou zouzou), Barbara DeFina, David Del Sesto, Robert De Niro, Linda Dileo, Matt Forger of “The Matt Forger Show”, Siedah Garrett, Humberto & Deborah Gatica, Marshall Gelfand, Dr. Elsie Giorgi, Cary & Barbara Grant, Cary Grant, Mark Hagen, Barry Hankerson, Jerry Hey, Dann Huff, Kim Hutchcroft, Mother & Joseph Jackson, George Jackson, Paul Jackson Jr., Joel Jacobson, Roland Jaffe, Craig Johnson, Debbie Johnson, Sarah Jones, Jolie, Tina, Snoopy, Kidada, Rashida & Rachel Jones, Jerry Kramer, Michael Landau, Karen Langford, Rudy Langlais, Rhett Lawrence, Jolie Levine, Graham Lyle, Lisa (Rush Prods. ), Jonathan Maxey, Letta Mbulu, Benny Medina, Cornelius Mims, Claudio Ordenes, Mo & Evelyn Ostin, Michael & Joyce Ostin, David Paich, Don Passman, Joe Peschi, Greg & Karla Phillinganes, Steve Porcaro, Richard, Judy, & Genevieve Price, Joe Pytka, Bruce Ramer, Madeline Randolph, Laura Raynor, Raoul Roach, John Robinson, Steve, Courtney, Nicole, & Mark Ross, Davey Rothenberg, The Rubba Club, Run DMC, Jeff & Toni Salaway, Henri Salvador, Martin Scorsese, Mr. & Mrs. Charles Scorsese, Caiphus Semenya, Russell Simmons, Jimmy & Lola Smith, David Smithy, Steven, Amy & Max Spielberg, Larry Stessel, Steve Stevens, Garry Stiffelman, Bruce & Bea Swedien, Al Teller, Les & Ada Temperton, Rod & Dodo Temperton, Roger Troutman, Harry & Mary Jane Ufland, Our Love to Rose Weisner, The Westlake gang, David Williams, Larry Williams, The Winana, Oprah Winfrey, Stevie Wonder, Louise Velasquez, Walter & Cynthia Yetnikoff.